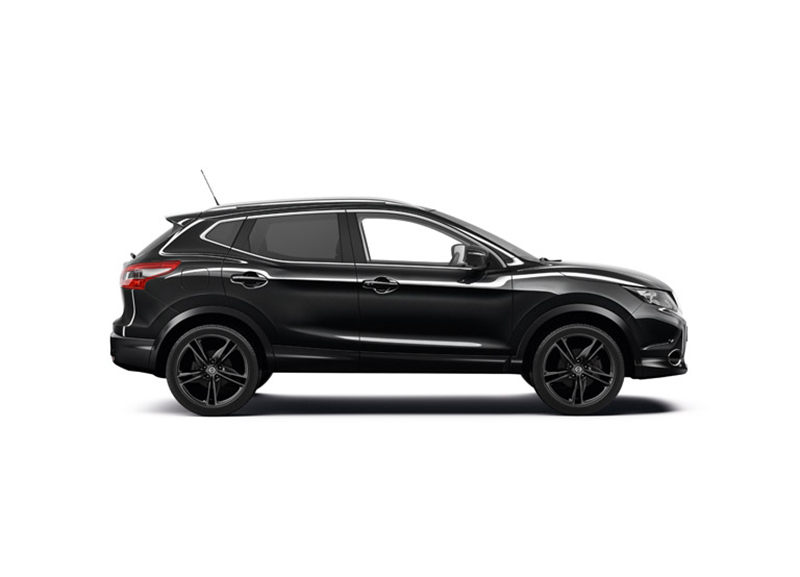 Nissan has added a new ‘Black Edition’ range-topper to the Qashqai line-up. The new flagship model is the first Special Version of the Qashqai since the model was launched in 2013. With a limited production run, the special edition is based on the ‘generously equipped’ Tekna grade but with Black Edition enhancements including 19” Black Ibiscus alloy wheels, Pearl Black metallic paint, front and rear styling plates and ‘Black Edition’ badged door entry guards. The SUV also gets a Panoramic Roof with one-touch shade, making it the only Qashqai with a glass roof as standard, typically a £400 option on Tekna models. Nissan’s advanced safety and driver assist systems (Nissan Safety Shield) also comes as standard. This includes Lane Departure Warning, High Beam Assist, Traffic Sign Recognition, Forward Emergency Braking, Blind Spot Warning, Moving Object Detection and Driver Attention Alert. The Black Edition model also adds full black leather upholstery, Intelligent Park Assist, bi-LED headlights and the NissanConnect infotainment system. Based around an integrated seven-inch high-res touch-screen, it includes DAB digital radio and satellite navigation. Nissan’s 360º Around View Monitor, for help with low-speed manoeuvres, is also fitted as standard. Powered by a dCi 110 6-speed manual 2WD, which delivers 70.6mpg combined fuel economy, CO2 emissions come in at 103g/km. 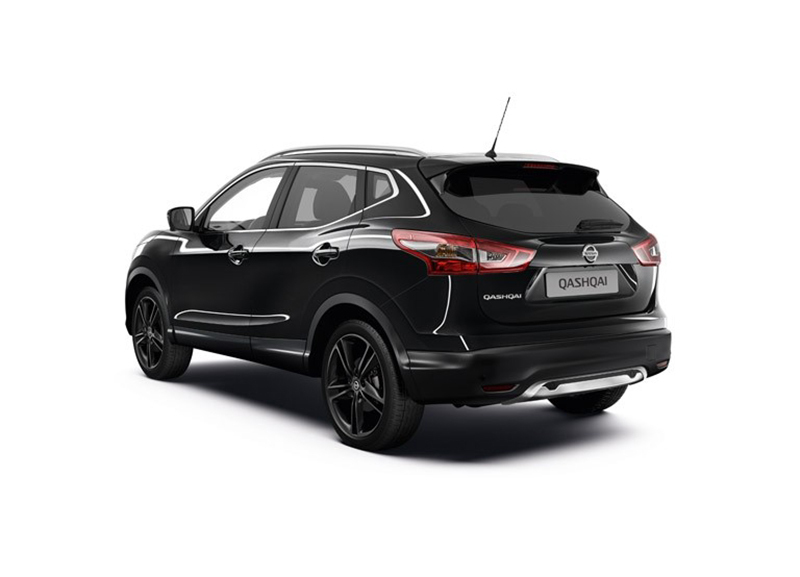 On sale now, the Nissan Qashqai Black Edition is priced from £27,310 OTR. Tailor-build your own Renault Clio R.S.